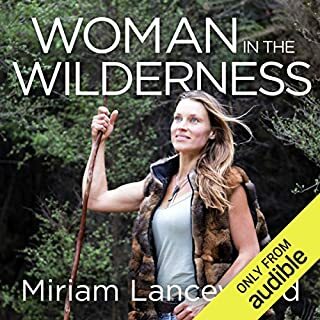 Woman in the Wilderness tells how one woman learned to dig deep and push the boundaries in order to discover what really matters in life. Miriam is a young Dutch woman living in the heart of the mountains with her New Zealand husband. She lives simply in a tent or hut and survives by hunting wild animals and foraging edible plants, relying on only minimal supplies. For the last six years she has lived this way, through all seasons, often cold, hungry and isolated in the bush. She loves her life and feels free, connected to the land and happy. In 2003, software engineer David Miller left his job, family, and friends to hike 2,172 miles of the Appalachian Trail. 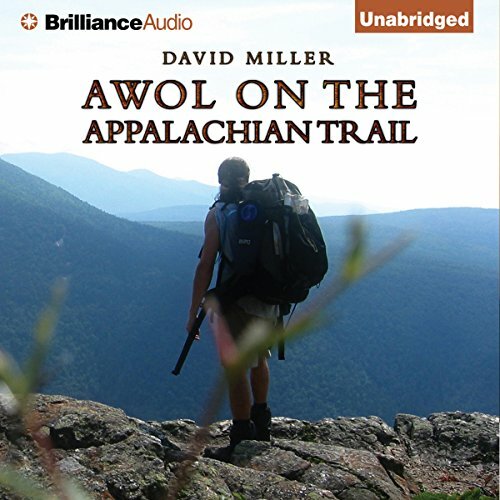 AWOL on the Appalachian Trail is Miller’s account of this thru-hike from Georgia to Maine. 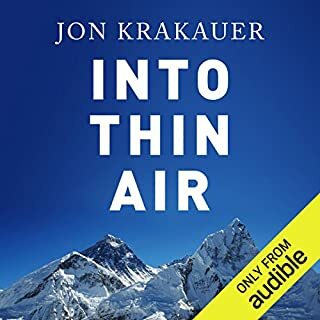 Listeners are treated to rich descriptions of the Appalachian Mountains, the isolation and reverie, the inspiration that fueled his quest, and the rewards of taking a less conventional path through life. While this book abounds with introspection and perseverance, it also provides useful passages about hiking gear and planning. This is not merely a travel guide; it is a beautifully written and highly personal view into one man’s journey and the insights gained by abandoning what is comfortable and routine. ©2011 David Miller (P)2012 Brilliance Audio, Inc. This is a book about hiking. I really enjoyed it. But I’m a hiker. I’d imagine it might not be as great for non hikers. But I really like the story and the way it was told. Unlike many other hiking books it managed to avoid the drudgery of hiking: sleep eat hike repeat. I love the outdoors, have a long commute to an office job, thoroughly enjoyed and could realate to AWOLs journey. And he finished the trail. liked is so much, i was sorry it finished. beautiful journey before sleep every night. Well worth a listen . What made the experience of listening to AWOL on the Appalachian Trail the most enjoyable? 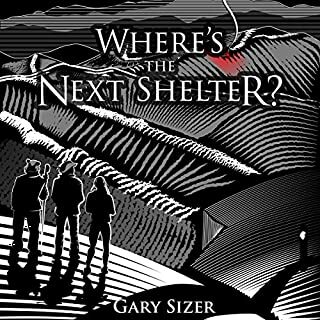 It's funny, well-written, engaging and really informative. I'd love to walk the AT but listening to David Miller's experience has made me realise that I've been romanticising the notion a bit. 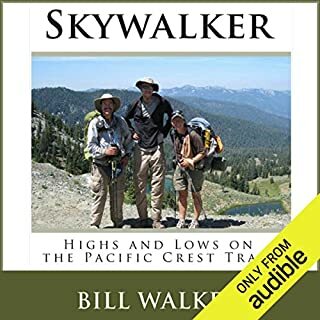 The detail and information in this audio book is fantastic, any expectations of walking the AT after listening to it are realistic. It's easy listening...come to think of it, I wasn't so much aware of the narration but the book, so on that basis I'd have to rate Christopher's performance pretty high. 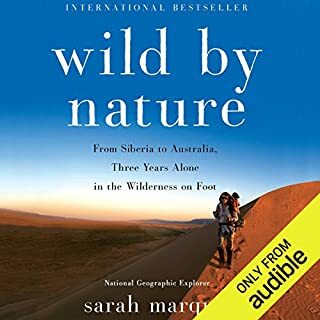 As an avid hiker / backpacker who lives in the Appalachian mountains I found this book to be an enjoyable account of hiking the AT but I was constantly aware of the author's lack of descriptions about the natural world around him. It was just odd. These mountains are incredibly beautiful and, at times, simply awe inspiring. It would have been far more enjoyable if the author had told us more about the landscape he was traveling through. 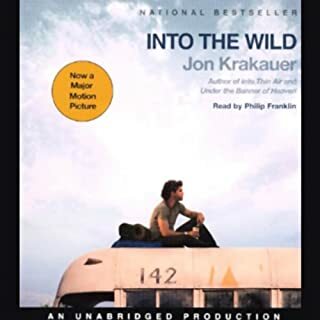 This book is more about the act of hiking and the people he encountered than it is about the trail or the beautiful mountains it passes through. This made the book seem a bit one dimensional to me. I do not intend for this review to be a slam or to take away from the positive reviews the book has rightfully earned. I guess I could say it's like reading a book about trout fishing without any meaningful descriptions of the trout. Enjoyable.....but leaves too much to the imagination. Would you be willing to try another book from David Miller? Why or why not? What aspect of Christopher Lane’s performance would you have changed? Was AWOL on the Appalachian Trail worth the listening time? 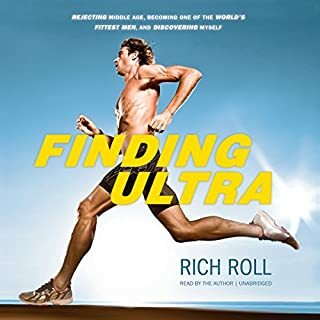 Great as a trail journal, not so much a "story"
As an experienced hiker I enjoyed this as a factual trail journal, but wanted to hear much more about the psyhcological / mental / self discovery component. If you want facts, this is great if you a story I'd recommend A Walk in The Woods, Kindness of Strangers, Into the Wild or something similar. AWOL's experience allows the reader to feel like they are traveling step-by-step with him on his journey. The narrator did not seem like the correct choice for this story. He had little-to-no inflection about any of the experiences on the Trail. 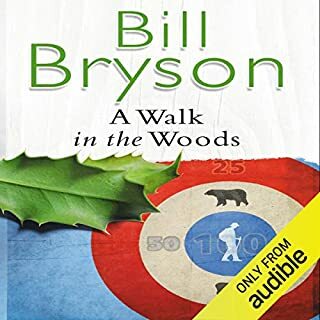 Any readers/listeners who liked Bill Bryson's "Walk in the Woods" might want to check out this book, but they should also be aware that this is a serious Trail journal. There are humorous moments in the book, but that's not the point of this book. Anyone who is serious about hiking the AT should probably check this book out, it is quite helpful. I was inspired to walk the ATLANTIC after watching a walk in the woods, but now it is sealed. 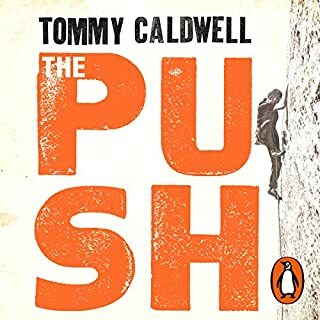 This book never portrays a glamorous, easy, life changing event, but accurately depicts the test of courage , physical, mental and even spiritual challenge of doing such a monumental event. it was a bit dry at times but so will the hike be from time to time. If you want to learn about what it's like to hike the Appalachian Trail, you might really like this book. If you want to get into the mind of the hiker, read Cheryl Strayed "Wild" instead. David Miller, in AWOL, steered clear of most of his personal thoughts. He played it safe, and I don't really feel I know him after listening to this book. He wrote a diary of his daily experiences and published it as a book. I enjoy the outdoors and enjoyed comparing his hike with my cross country bike tours (you eat better bike touring). I ended out skipping a few parts in the middle because it was too repetitive. At the end, the author says he'd like to do the hike again, but I never gathered that from his daily entries. By the way, AWOL is his trail name. It's not about getting lost. Finally, the wrong narrator read this. His smooth voice never matched the character writing those words. Finally, a book by a competent hiker! A trope of many hiking books is how I hiked the Big Trail even though I'd never hiked before and was out of shape, started out with a pack full of useless stuff that I could hardly carry, and made a lot of other really stupid mistakes, until I gradually became competent and learned to love the trail. 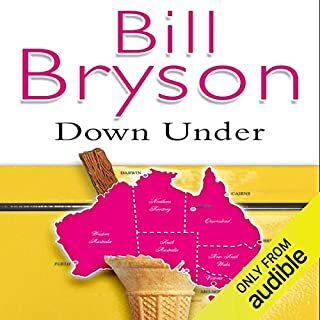 This theme gets old after a few books--no one, after all, can quite come up to Bill Bryson's level of incompetence or hilarity--so I was delighted to begin a hiking book in which the author was fit for the trail and knew what he was doing. And I continued to enjoy it. The author is one of those guys who regularly puts in 20-mile days--after all, he's there to hike--and doesn't seem to be a jerk to boot. 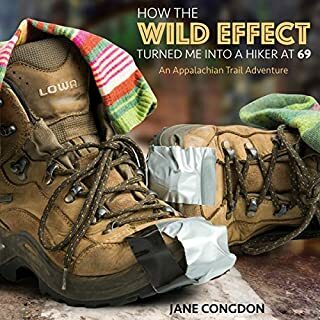 I recommend this piece of hiking literature; it'll give you a feel for hiking the AT without having to hear some of the usual hiker neuroses. If you could sum up AWOL on the Appalachian Trail in three words, what would they be? With pretty solid writing skills, this author tells a straightforward account of a long-distance trail hike. 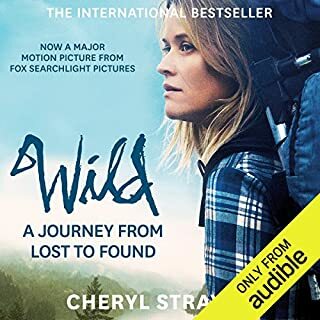 There is less content spent on the personal growth aspect of his journey than some related authors like Cheryl Strayed (Wild), however the author's limited reflections on personal growth, politics, and relationships are thoughtful and interesting. 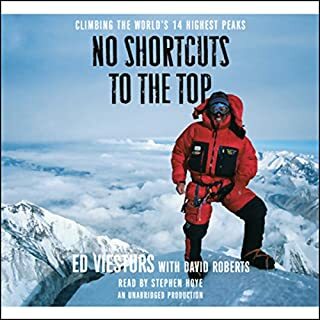 This book is informative for aspiring AT hikers and entertaining for armchair hiking enthusiasts. I love the book I have had hiked for years and after being diagnosed with MS spent too much time trying to figure out my forward path. mow I'm getting back to the things that I enjoy instead of thinking too much about treatment. This book inspired me to start taking as many day hikes as possible as I prepare to hike the AT in some way. I love Christopher Lane but would not have chosen him for this book. For me personally he's more of a third person and I think a little of the humor of David Miller was lost because of the most excellent, refined voice of Mr. Lane. I saw this book in a used paperback book section at the library, came home and purchased it and began listening to it right away. 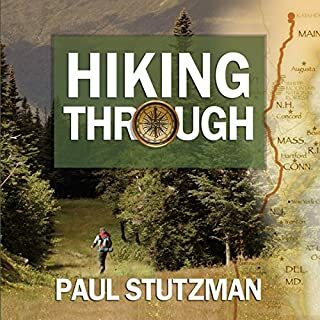 A good friend of mine had hiked a portion of the Appalachian Trail in 1981, I immediately thought of him and how he must have endured many of the hardships that are explained in this sojourn from South to North. David Miller is is a very gifted writer, and talented with witticism and able to explain without too much detail the little things that hampered his comfort on a daily basis while trekking the 2000+ miles, through 13 states. I immediately wanted to hike the Appalachian Trail but probably thought that I might be too old to do that, however the trail has been hiked by many geriatrics over the years so age or age gender has nothing to do with it. 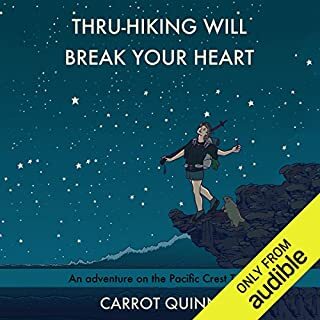 This is a must read book for anyone who enjoys hiking of any kind and can relate to the worn-out tennis shoes, mosquito bites and insects, wet clothes and the odd assortment of characters that can be met on the trail, as well as off the trail in the towns where the trail passes through. excellent story, easy to listen to. hard to put down! The narrator is superb and a thrill to listen to throughout. 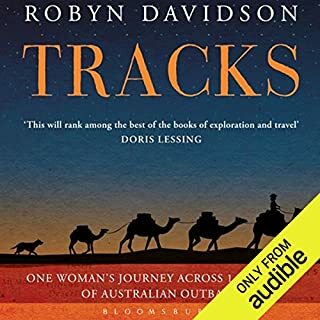 Thought there would be more detail about the trail itself, and what he sees and who he meets along the way rather than just mentioning all the ridiculously named folk he meets on the way ( such as Biscuit) without really telling us anything of their story. Also he talks in detail about the blisters on his feet and the 6 pairs of shoes he needs. I'm sure they would have been an issue but not very interesting to listen to in detail. What I really want really wanted to know was how a family man can just 'walk off' for several months leaving partner and young children behind. ( why is it mainly men who do these things? ), He barely mentions them, seems he walks to get away from hs boring job. How many folk would like to walk a trail instead of working? I've 'plodded' through this tale, this much like his walk. Sorry, whilst it's an achievement I think there would be more interesting books about this trail out there ( Bill Bryson perhaps). Not a book I'll listen to ever again. Flat narration. He might have been describing a trip to the supermarket. 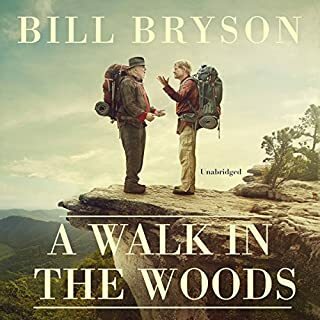 bill Bryson's walk in the woods is a much better read and listen. Well, it was short I guess. I always like to be fair when I review a book and in this case I hope to do the same though some people reading this might think me entirely unfair since it’s one of those books you’ll either find interesting or you’ll dislike for its lack of detail. That it does lack detail is apparent from the first. 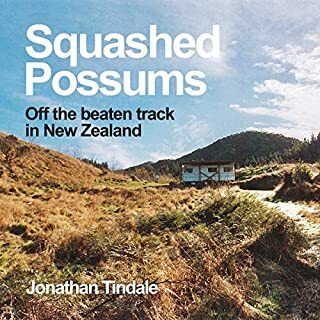 This book differs from the possibly more famous ‘a walk in the woods’ by bill Bryson in two respects. For one thing this is a solo walk by and large with no enlivening facts to be tossed in now and then, small observations about conservation and some history and it doesn’t whine all the time about everything and nothing. Also unlike the Bryson book it actually does complete the whole trail rather than growing bored with it halfway through or less. The book is a whistle stop tour guide which some might find lacking in something fundamental. I liked it though because it does not contain any of those boring and annoying details that characterize so many travelogue books when the family come to visit. it rather glosses over that side of things and sticks with the story maintaining focus all the way through. there are very few ego commetns such as praise from readers of Miller’s journal and very few references to modern things which makes the book refreshing for me. The reason I gave it four stars only is because there is so little detail about events taht took place in the past on the trail. The narator too kind of spoils it a bit sounding either tired or bored I can’t make up my mind which. Some might call it soporific but for me, I found it tiresome. There’s inflection there but somehow, I felt the narator couldn’t really generate any interest in this book. I hope this has been a helpful review.